Yay the Zara Semi-Annual sale is back! One of my favourite sales by far. Prices are as marked online and in-store and vary based on the items. I find their sales can be upwards of 50% off and prices keep coming down as the weeks process and stock gets fewer and fewer, so definitely check back often. Sale starts at 12am ET online tonight and available in-store June 16. 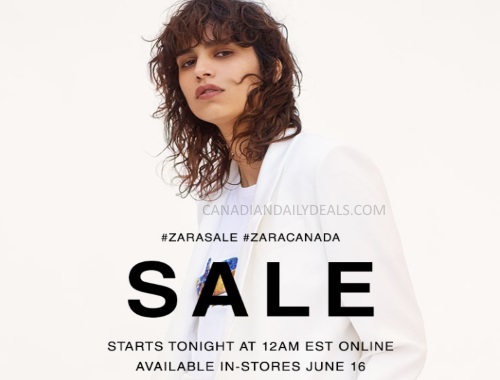 Click here to browse Zara.